While our Sunday Fundays have certainly evolved over the past couple years from low key afternoons to all-hands-on-deck kiddo fun, I still cherish the weekends spent with my loved ones. First up, this jewelry display over at Charming in Charlotte. I first spotted this months ago but I honestly haven’t been able to get it out of my mind ever since. It is just to die for! The stripes. The earrings. The gold hardware. I have always loved Cassie from Hi Sugarplum’s style and it has been fun to follow along as her house evolved over the past couple of years. 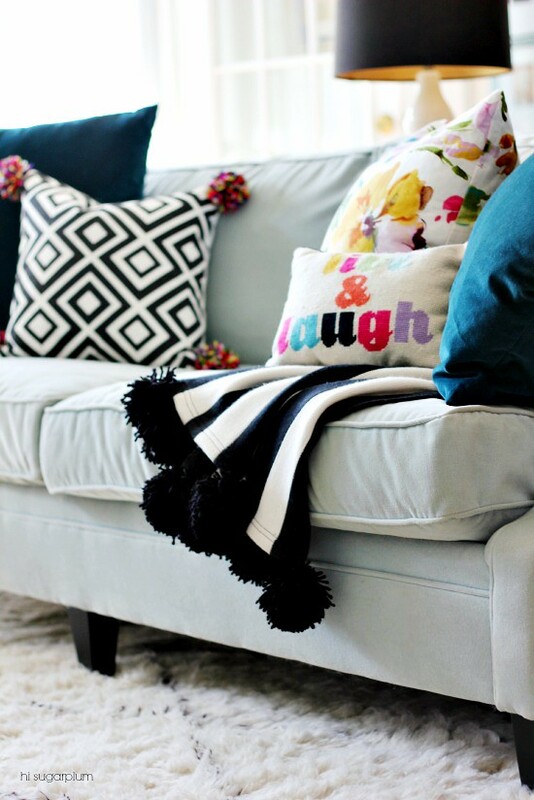 She recently showed us her living room reveal, and the white walls grabbed my eye. I do agree that it makes the perfect backdrop for her colorful taste, and the pom-poms for days in her decor make me so happy! Next up, coffee tables. I dream of the day that I can have a coffee table, and one that is styled with accessories. With two littles, I know it will be years until that day arrives and my old leather ottoman will have to do for now. So I just live vicariously through the beautiful homes I see online. Emily Clark participated in a fun coffee table style showcase and I was oohing and aahing over this picture. 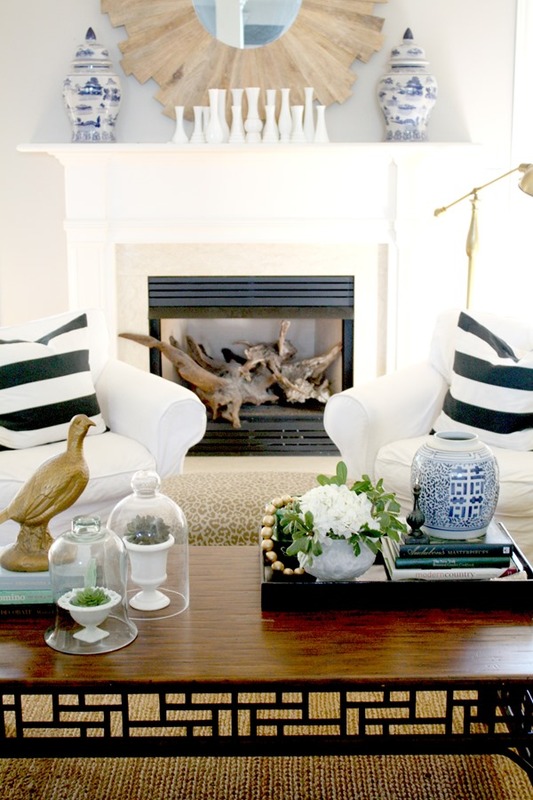 Not only do I love the coffee table, but check out those blue and white ginger jars, the milk glass vase collection, the striped pillows and that great driftwood in the fireplace. Swoon! If you have been anywhere around blogland in the past year, you have definitely already seen this master bedroom from The Nester. I have been brainstorming for our master bedroom and this master bedroom just has so many elements that I love. 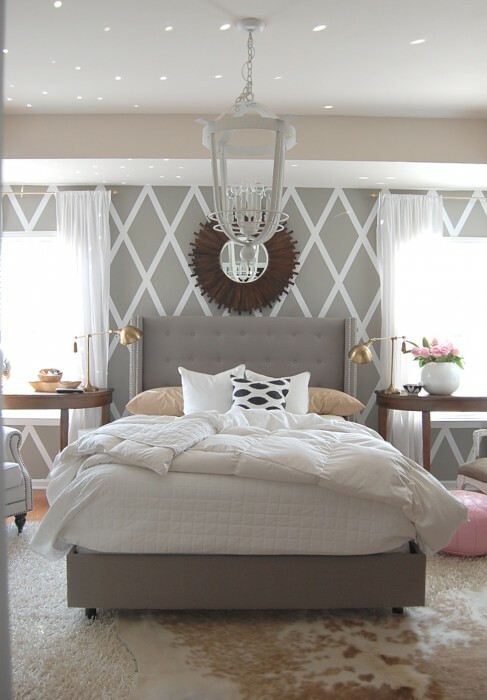 From the accent wall to the gold lamps, to the sweet pops of pink- me likey! Make it a fun one! Great picks, Heather! Mallory has almost as much jewelry as I do (but not quite ;). Chen Shu grabbed his arm angrily cheap ray ban sunglasses sale not help, I'm here, give me a face, following a provincial leader, cheap ray bans australia Saw a man snorted ray ban wayfarers sunglasses cheap and said Chen Shu, so I packed up these bastards say. cheap ray bans australia Having also hands-on, you've come to know who it is. Who is it. I cheap ray bans australia cheap ray ban aviators sunglasses care who he is, but my grandfather.